Our beloved Stephanie Elaine Lee McEwing, 49, went on to be with her Lord on Friday November 30, 2018 with her family by her side at Community Hospice Dr. Gaston J. Acosta Rua Center for Caring. She was born to Mae Willie Hill Lee and James Leroy Lee (deceased) in the beautiful city of Jacksonville Florida on February 17, 1969. She graduated from William Raines High School and attended FAMU where she received a Bachelor of Science in Criminal Justice degree. After graduating she became employed by FAMU and later relocated back to Jacksonville Florida. She has been employed by Edward Waters College, Everbank, JC Penney and lastly Medtronics. Stephanie gave her life over to the Lord and acknowledge the call of God on her life and begin to serve Him in a greater way during her lifetime. 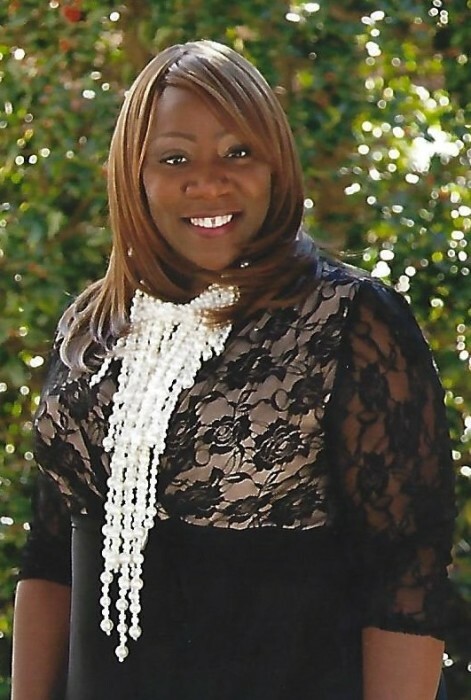 She joined Divine Influence International Worship Ministries where she became an ordained Elder and served lovingly and faithfully for years. Stephanie loved people. She enjoyed shopping and eating with her friends. Her hobbies included dancing, decorating and image consulting. Stephanie lived a selfless life. You could always find her helping others in any way she could. She leaves behind mother, Mae W. Lee; son, Keenan McEwing; sisters, Sonia Lee Myers and Lynn Barney; nieces, Tia Myers (Makai & Jordan Thompson), Joi Myers, Raylynn Barney, Raynette Barney; nephew, Coray Ward; a dear friend, Sandra Chisholm; and host of cousins, relatives and friends.